Last week, the Themed Entertainment Association and Economics Research Associates released their Attraction Attendance Report. If you're interested in the business side of the amusement industry, it's a pretty interesting read. It's also fun to read if you're only interested in why the lines were longer at your favorite park. 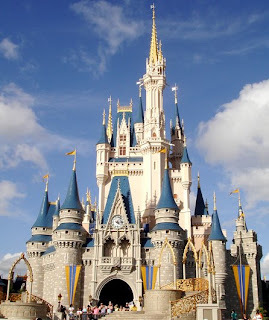 Walt Disney World's Magic Kingdom is #1 in attendance for 2007 with 17,060,000 guests. Wait a second.... if you divide that by 365 days, that means that the Magic Kingdom averaged 46, 739 guests per day. Is that even possible? I always thought that a crowded day at the park was when 25,000 people were in attendance. I was also surprised to see Busch Gardens Europe beat out Cedar Point in pure attendance numbers. Although, BGE's attendance did jump 12.5% with the addition of Griffon. But Maverick wasn't too shabby of an addition either. In the world of waterparks, I was also surprised that Disney's Typhoon Lagoon beat out Blizzard Beach in guest numbers. I suppose it could be because of the addition of Crush N' Gusher, but I always thought that Blizzard Beach was the more popular of the two. Did anything in the report surprise you? Talk about it in the CoasterRadio.com forums! I want to be a tycoon again! Weekend Theater - Virtual Pirates! Bring It On Six Flags! Toy Story Mania is almost ready for primetime!